Well, I guess Voltage symmetry of practical Ruthroff 4:1 baluns begs the question, what about Ruthroff 1:1 voltage baluns? The Ruthroff 1:1 voltage balun can be seen as two back to back Ruthroff 4:1 voltage baluns with the redundant winding removed… and that prompts the thinking that the cascade of two baluns back to front might cancel the phase delay. Let’s measure a popular Ruthroff 1:1 voltage balun. Above, the RAK BL50-A was a quite popular balun, and probably the balun of choice for half wave dipoles… well until the message about current baluns escaped. Above is a scope capture of the terminal voltages with a 100Ω centre tapped load, the centre tap is bonded to the coax shield terminal. The red trace is CH1+CH2. Lets put those numbers into a calculator as unscaled divisions from the scope. 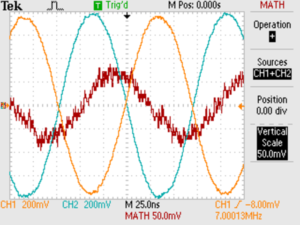 Above, the calculated phase difference is 10.9° which reconciles well with the estimate from the scope trace delay above. 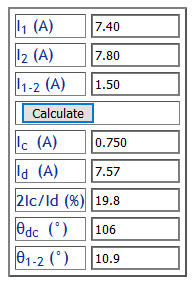 The ratio 2Ic/Id is 20%, this is pretty awful current balance on a symmetric load. Now this balun is worse at higher frequencies because the attenuation in the balun transmission line increases, and the phase delay increases almost proportional to frequency. So, whilst ideal voltage baluns deliver equal but opposite currents into a perfectly symmetric load, practical Ruthroff 1:1 voltage baluns might not be all that good. Voltage symmetry is poor, predictable, and it is load dependent, and it gives rise to significant common mode current, even in a symmetric antenna system. 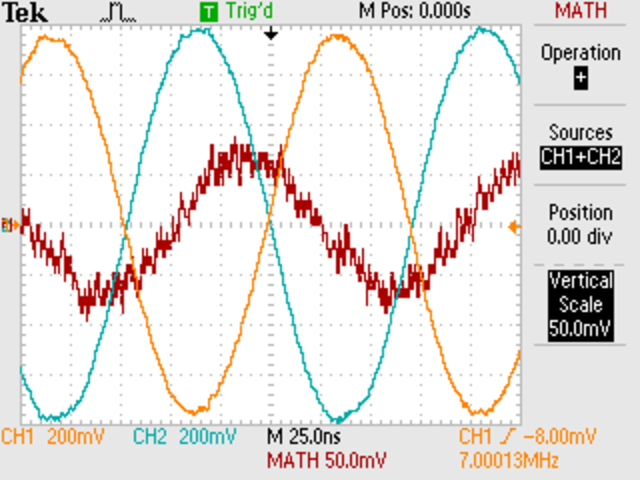 If you think your balun is working well… it is probably because you have not measured common mode current. Duffy, O. 2007. 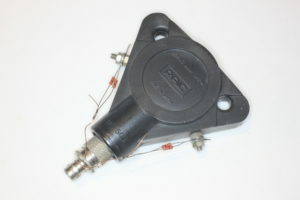 A model of a practical Ruthroff 1:4 balun. Ruthroff C. 1959. Some broad band transformers. Proceedings of the IRE.